Before we dive in too deep into the pattern making fundamentals series, let’s first discuss seam allowances. Seam allowance is the excess fabric that you see on the inside seams of a garment. Basically, it is the amount of fabric allowed for a joining different parts of a garment together. A seam allowance needs to be added all the way around a pattern piece, except any part of the pattern that is to be cut on the fold. Seam allowances fall in the area between the pattern edge and the stitching line. They vary quite a bit and can range anywhere from 1/8″ wide to as much as several inches. Is there a standard seam allowance? Well, yes and no. 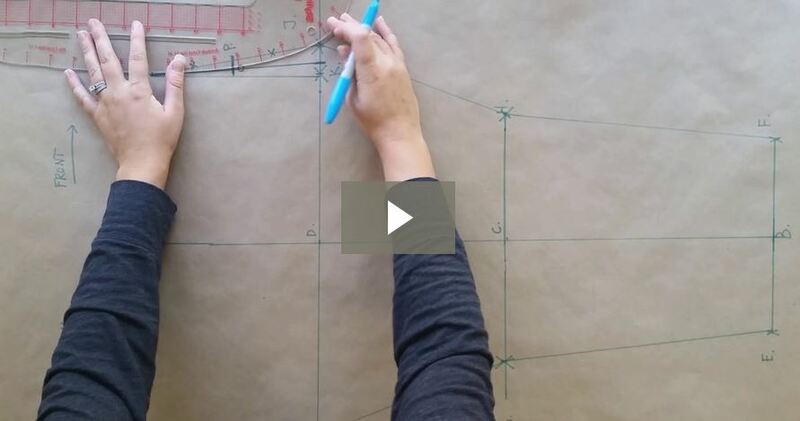 Standard seam allowances for commercial store bought patterns tend to be 5/8″ of an inch*. Most home sewing machine cover plates will have a guide line clearly marked at this distance (from the needle) as well as other various measurements. Using the guide on the cover plate helps to ensure that the edge of the fabric is lined up while sewing so that the needle stitches the seam at 5/8″ of an inch from the fabrics edge, creating the perfect (and intended) seam allowance. On the other hand, industry seam allowances are drastically different. But, why? Well, it’s the equipment! A variety of industrial machines are used in the mass production of apparel. 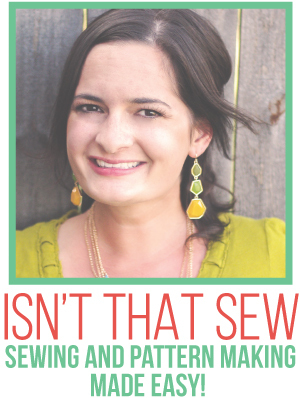 Frankly, most of us do not have industrial equipment in our homes…and since this website is dedicated to practical pattern making for the home sewist…we will mostly focus on what makes sense for us using home sewing equipment. So, if your goal is to become an industry professional (read snob)…then this site is not for you! 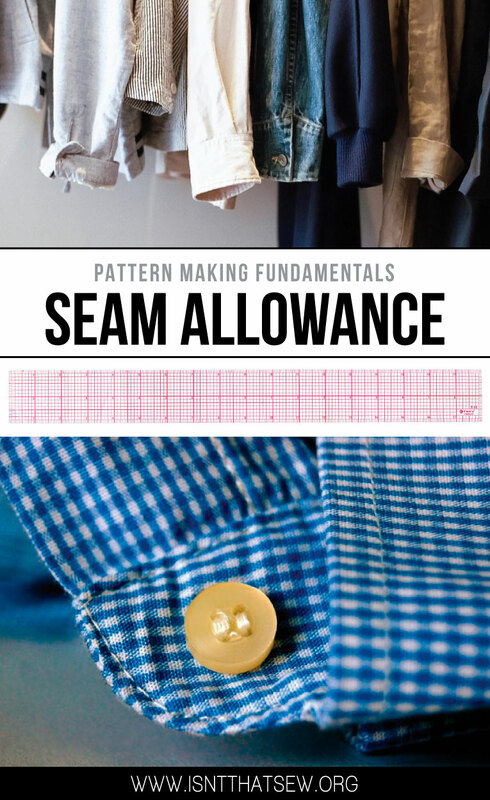 All jokes aside…adding seam allowance to patterns in the home setting can also come down to preference! *As discussed below, different areas of a pattern piece will use different seam allowance. There is a very good reason for this, keep reading! Pro Tip: When pattern making it is always important to draft your patterns sans seam allowance. However, after all fittings and alterations are complete and when transfering the final pattern…you will then add your seam allowances and hems. So, when do seam allowances vary? Although you’ll find it somewhat depends on the preference of the home sewist, the style and fabric, or the commercial pattern company, here are some common variations in seam allowances. 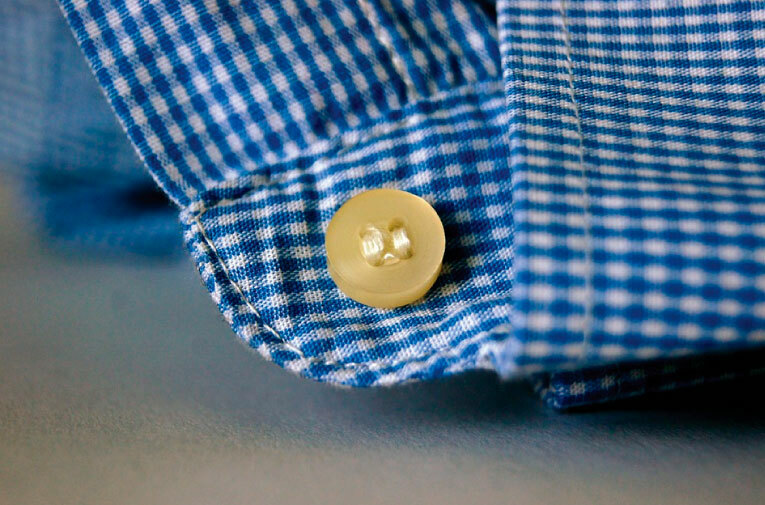 1/8″ is used in this instances because a placket, for example, is very narrow. Usually an inch or so…If a larger seam allowance were used, there would be way to much excess bulk fabric and fabric would need to be trimmed away. So, save yourself the trouble and use the smallest seam allowance possible! 1/4″ is used for for things such as collars for a very similar reason as stated above…But, also because it’s easier and more accurate to sew a curve with a smaller seam allowance. General seaming ie. shoulder seams, side seams, waist seams, armholes, sleeve seams, inseams, cuffs, waistbands, princess lines, patch pocket (turn under), and almost anything else you can think of! Why? And why the range? Here’s the deal….as I mentioned above, this website is about being practical and about pattern making in the home setting. . . So, honestly…It’s going to be up to you! 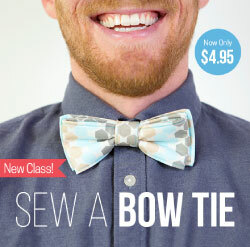 Personally, I hate using 5/8″ like most commercial sewing patterns. I just hate it! I find it bulky and cumbersome. Whereas, I find 3/8″ to be little too small for my liking…so, my sweet spot is 1/2″! I also like 1/2″ because it’s super easy to add with a clear plastic ruler. Other types of seam allowances…the exceptions to the nonexistent rule. Just to complicate something as seamingly as simple as seam allowance…let’s look at different seam classes…Yes, seams can be categorized! Okay…so, let’s talk about hems. A hem typically has two turns. I said typically, of course there are exceptions….But, I digress…a hem will have a different amount of seam allowance depending on what type of garment is being drafted. For example, a floor length ball gown might have 2″-4″ of hem depending on the fabric…..This not only creates weight and a nice swing in the sweep…but, it also allows for alterations in length. How about a pencil skirt. You might allow 1 1/4″ (1/4″ first turn and 1″ second turn). Again, it’s totally up to the style of the garment and the fabric being used! Lastly, there are also other things…like stuff you might attach to a garment. Like a zipper or a patch pocket. All of these will vary depending on the width of the zipper tape, the type of pocket. etc. All exceptions to the nonexistent rule! Stay Tuned, in a follow up post…I’ll show you how to add seam allowance! Disclosure: Please note that some or all of the links contained in this post are affiliate links, and at no additional cost to you, I might earn a commission if you decide to make a purchase. Read more here. Please know that I have experience with all of these products and I feel confident recommending them to you because I have found them to be my top 5 must haves…as in, I can’t live or draft without! Hello! I am in tge process of teaching myself pattern drafting and have one question. You mention to draft without seam allowances and when finished with fitting and alteratioms, then you add seam allowances afterwards. What about ifnyou are sewing up a toile or muslin. I am having problems with a neckline in that it is too small when i sew up the shoulders. Does this mean my shoulder width is too big, or my neckline is too small. What I usually do is add seam allowance directly to my fabric as I’m tracing my pattern. I use a clear plastic ruler to do this. I hope that helps to clarify! Thank you for this information! I just found my clothes sewing mojo after many, many years of being lost. It’s exciting that home sewing is coming back. And your information and lessons demystify the pattern-making process. It is very inspiring! Thanks so much Rachel! 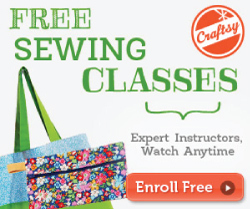 I’m also so glad that sewing is a popular hobby again! It’s such an amazing skill to have and I’d hate to see it lost! Thanks so much Lara, your kind words mean so much! It’s people like you that keep me going! Thank you Ruth for all information, knowledge and experience you shared here. Found it really helpful for a newbie like me. Great site and resources; you explain things very clearly. The pale grey colour of your font makes the site difficult to read for those vision impairments and aging eyes. Thank you for your kind words Carmel. Unfortunately, the color of the font is built into the website theme..and I am not a coder and am in no position to alter it at the moment. However, I do know that there are browser extensions (for example; chrome has a great one that I use…You can download it for free —> https://chrome.google.com/webstore/detail/high-contrast/djcfdncoelnlbldjfhinnjlhdjlikmph?hl=en) that will adjust the contrast and colors! You can even invert the screen!!! I hope that helps! Thanks again!